Making amazing and healthy bread is both an art and a science. 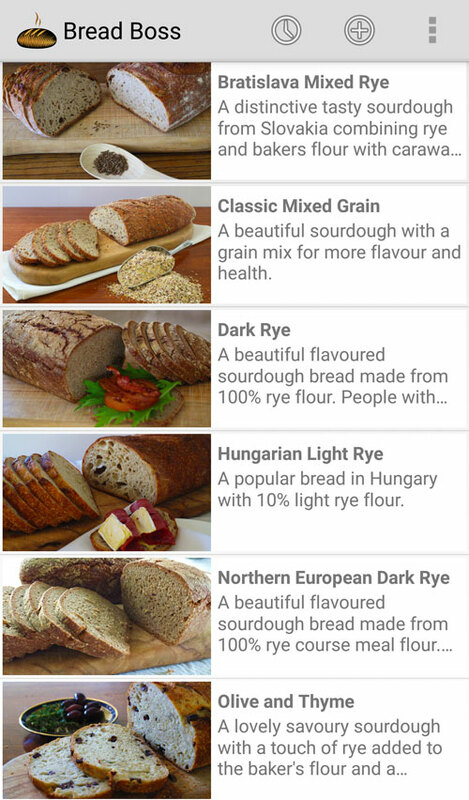 Bread Boss, the Android App takes care of the science, freeing your creative spirit and allowing you to spend your time doing what people do best: art! If you want more than a recipe book then Bread Boss is the tool for you. 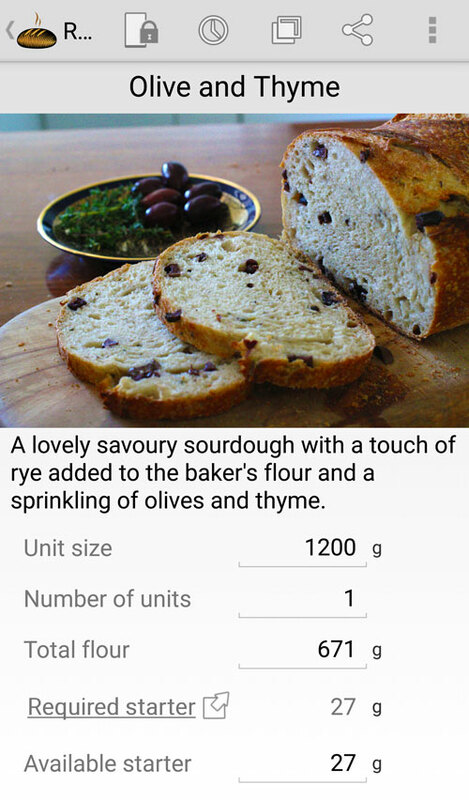 You can build novel recipes from working examples. 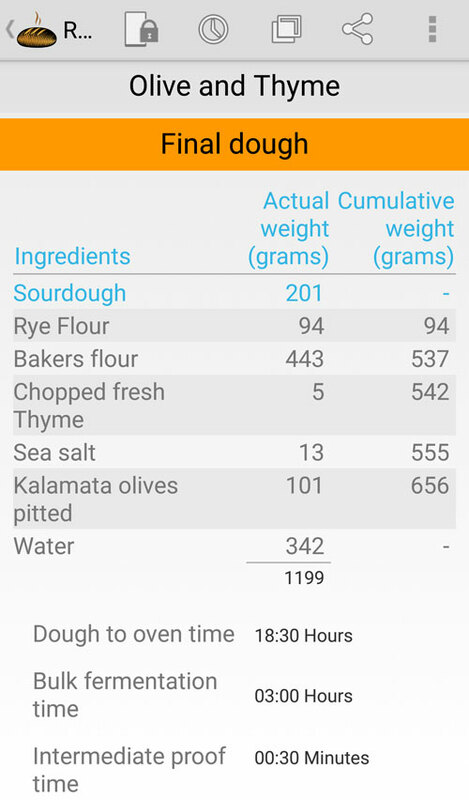 You can convert your existing recipes and turn them into baker’s formulas (with percentages), allowing you to scale up or down your bread volume to suit your needs at any given time – no more calculations necessary – that’s Bread Boss’ job. New to bread making? Don’t worry as Bread Boss comes with a set of supplied recipes developed by a master baker. Your home oven could be baking one of our delicious sourdough breads, a Rustic White, Stoneground, Walnut and Cranberry (we call it Walberry), Spelt, Quinoa and Mixed Seed, Hungarian Light Rye, Dark Rye, Olive and Thyme and many more. New recipes are regularly being added to the list. Bread Boss creates alarms or notifications to remind you when each important task needs to be done, so you don’t need to worry or keep track of time. You can easily shift the alarms forward and back to align with your personal schedule. Once you’ve perfected your recipe, you can photograph the result to save with the recipe and share it with your fellow Bread Bosses. Bread Boss is the synthesis and culmination of experience in baking and software engineering. 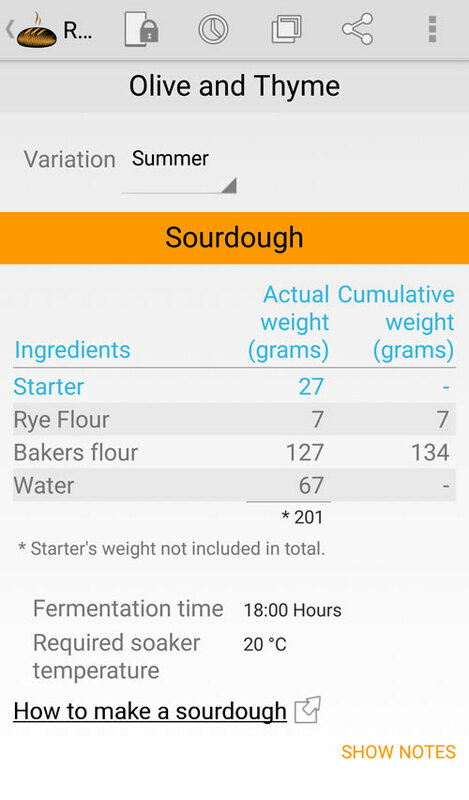 Two brothers from different fields working together to create an app that removes the guess work and tedium of traditional bread making, so that you the Bread Boss can express your creative passions for healthy, tasty and beautiful bread. Bread Boss is the indispensable tool for Bakers, Chefs, Baking Students, and Artisan Bread Makers at home. 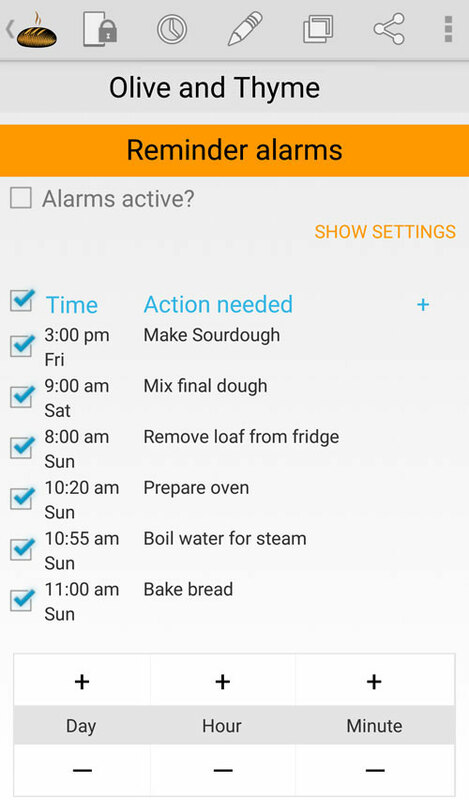 * Different recipes can have different alarm profiles for ringtones or music, auto-dismiss, volume crescendo etc. * Support website where you can get information and help with all things sourdough bread, baking and Bread Boss related. Oh, and by the way, it’s Ad free. Check it out on the Google Play Store.